The preparation of TEDxHimi is progressing day by day. 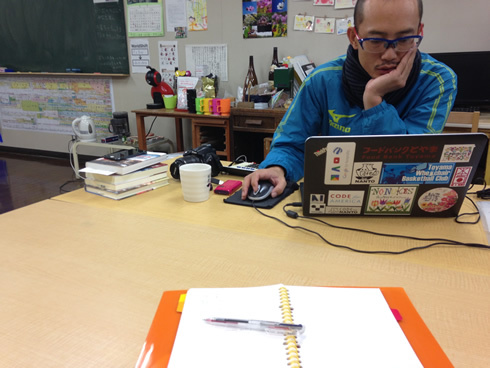 The staff members are not only from Himi city but some live in Toyama city or even in Tokyo and other places as well. The first thing what was approved by the TED head quarter to host TEDx is the name of minimum community that will be the center of this project. From this reason, the name of TEDxHimi became TEDxHimi, and it is not because the people in Himi are thinking that “Himi” has to be included in the name of this project. They do not have a strong feeling that it has to be exclusively organized. Even the founder of TEDxHimi, Masa D. Kawamukai is originally from Kyoto. The preparation of TEDxHimi is ongoing after the work or during the work hours. 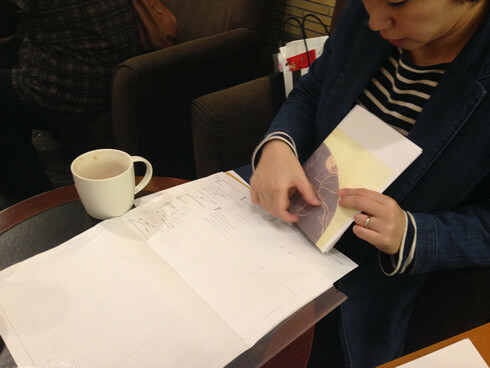 The meeting of producing brochure had held suddenly in Toyama city with the members related to this work. The draft of brochure is shared within the groupware. In fact, the precise schedule was communicated among the team and adjusted the schedule. There is a way to order the printing of brochure to the cheap on-demand printing company through online to cut down the cost. But instead, we thought it might be better to ask to the local printing company, so that we can avoid the trouble of small misprinting or the slight difference. That is why we had the meeting at the printing company in Oyabe city. This information will be shared within the team through internet. So you might have thought that all the members are gathering at Himi to do the preparation work all the time. But actually, you now know that the real situation is little different. These days, it is possible to share the information and to communicate smoothly through online by using groupware or tools for free of charge. So the members simply have to switch the online and offline to do the work of TEDxHimi by using their time when they can.